Via Olympic World Library (link to the original publication). 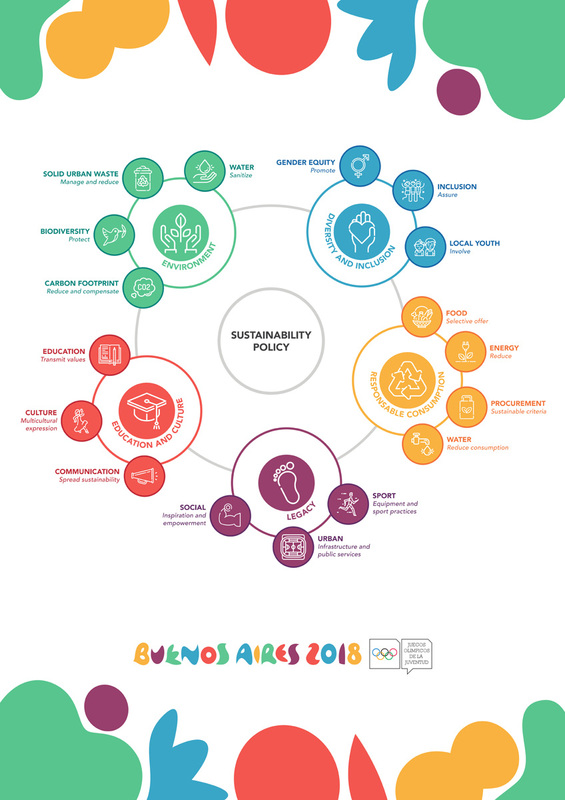 The Buenos Aires 2018 Youth Olympic Games is a catalyst for urban and social development in the city. 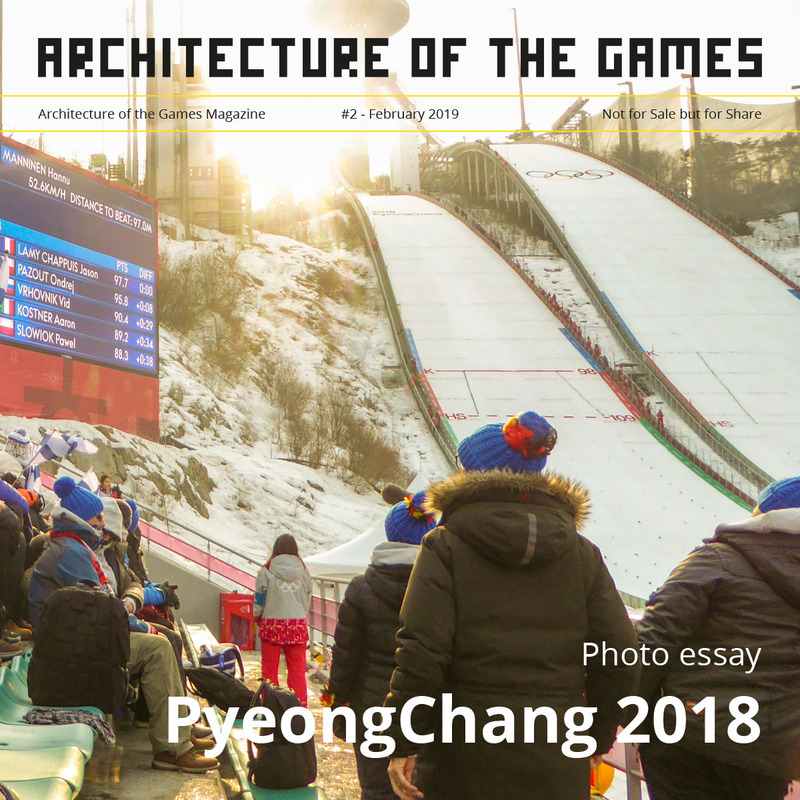 The main focus is on the southern area of the city, where the Youth Olympic Village is being built as well as the venues where most of the sports competitions will take place. 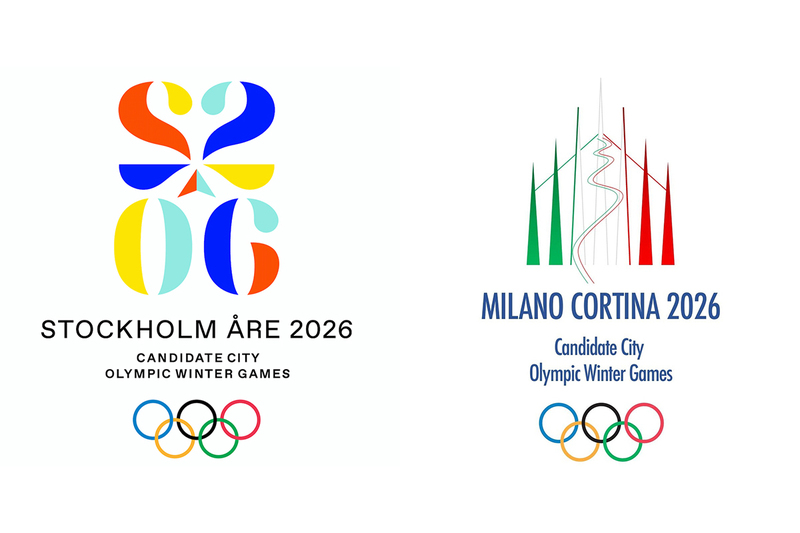 The objective is to leave an actual mark and legacy before, during, and after the Games, bringing sports closer to the people and carrying out activities that promote culture and education, in addition to boosting urban development through the infrastructure works to be carried out in the City. The Youth Olympic Games are the world’s largest multi-sport competition for young high-performance athletes, which inspire athletes to adopt the Olympic values of RESPECT, FRIENDSHIP AND EXCELLENCE. The event, promoted by the International Olympic Committee (IOC), brings together young competitors between 15 and 18 years old. It is held every four years in its two editions, winter and summer, which take place alternately every two years. Outside the field of play, athletes participate alongside with spectators in educational and cultural activities that promote Olympism. From October 6th to the 18th, the Argentine capital becomes the center of the Olympic world in a memorable cultural and sporting celebration. Since its start four years ago to promote the Olympic spirit, the Buenos Aires 2018 Organising Committee cultural, sport, and educational programme has reached about 1 million youths. The Olympic flag has been passed between hundreds of school in the City of Buenos Aires, and the same amount of sports initiation activities and talks to promote the Olympic values have been organized. In addition, thousands of kids and youths have attended the musical comedy produced by the Organising Committee, which promoted the Olympic spirit at schools in a fun and educational manner. The programme “One World, Many Worlds” was launched at the beginning of 2018. Youths from 206 schools of Buenos Aires found out about the history and customs of the 206 member countries of the International Olympic Committee to produce an interactive videogame based on a platform developed by Buenos Aires 2018. 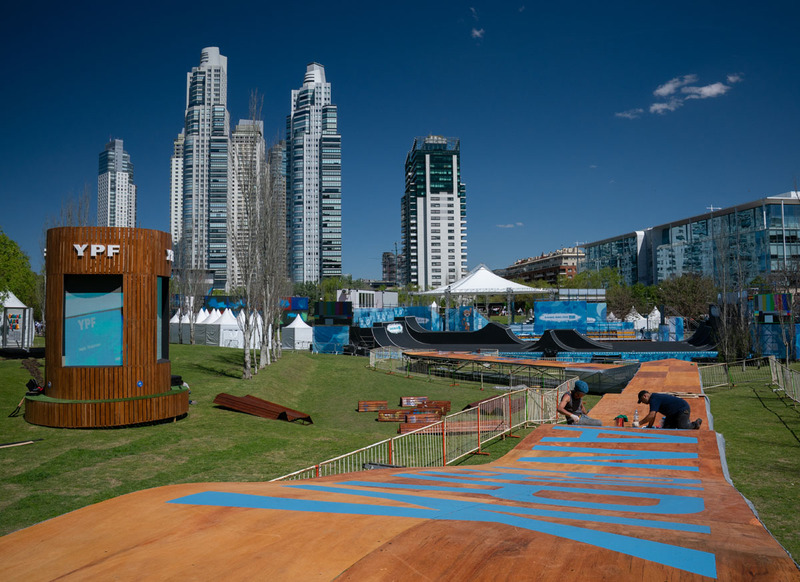 After the opening ceremony at the Obelisk, the programme will be one of the events at the parks and competition venues, where spectators will have the opportunity to take part in over 1200 sports initiation activities, which will shape the biggest multisport celebration in the history of Argentina. The Buenos Aires 2018 pictograms came into existence with the ingenuity of more than 500 primary school students in the city of Buenos Aires. There are 34 pictograms in total, representing sports and disciplines that will compete at Buenos Aires 2018. The instructions were complex: to trace a photograph of an athlete in a pose related to his or her sport in one continuous stroke, without lifting their pencils. The Project started with dozens of young Argentine athletes doing poses related to their sport in front of the camera and under the supervision of the Argentine sports federations. Using these pictures, notebooks were made and handed out to the primary students from both public and private schools. The four-month process finished at the desks of graphic designers as they looked for common points among the drawings to create the pictograms. They were then approved by the international federation of each sport. This is a short-film contest sponsored by Buenos Aires 2018. It’s objective is to estimulate film students age 14 to 18 across the country, share unique stories written and directed by them. This initiative invites to create, analize and build a critic eye giving visibility to self-generational topics. The Buenos Aires 2018 Organising Committee and the Argentine Sport University Federation (FeDUA), the organization that brings together Universities from Argentina to promote sports and supports the university training of young athletes, created the Young Community Leaders programme, which highlights initiatives that have an impact on communities through sports. 19 proposals submitted by youths were chosen, which address various topics such as social inclusion, cultural diversity, gender equality, art, and sustainability. The activities by this network of youths, created within the framework of the Youth Olympic Games, promotes initiatives led by youths and training within a multicultural environment that celebrates diversity, plurality, hard work, and the Olympic values: excellence, friendship, respect. Buenos Aires 2018 will represent the largest purchase of sports equipment in Argentine history. In order to allow the development of the competitions, the necessary elements for each discipline will be acquired and materials for the training will be added. All items received by October have a destination established as part of the legacy of these third Olympic Youth Games: serve for the development of the next generations of Argentine athletes. To cite two examples, 7,093 balls of different sports will be used and 10,800 goose pens will be received for the badminton competition. Athletics will demand more equipment than the rest that includes discs, javelins, hammers and bullets. 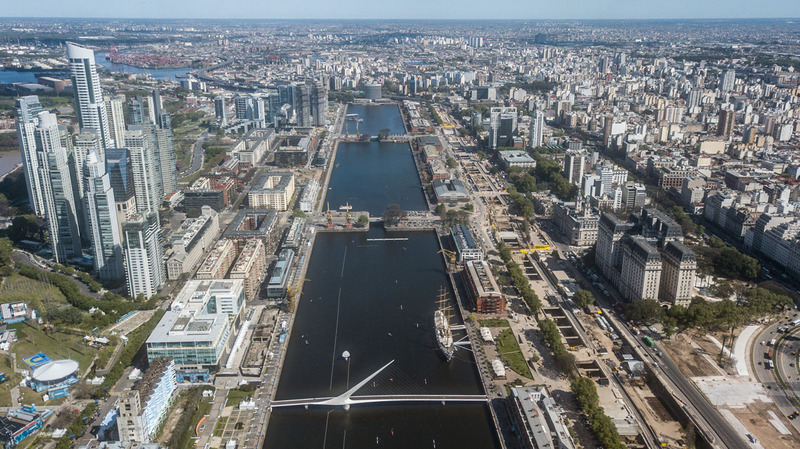 The Youth Olympic Village is the basal stone in the legacy of Buenos Aires 2018. It was built in the neighborhood of Villa Lugano, an economically and socially relegated area of the City of Buenos Aires. The complex occupies 3.5 hectares and has 31 buildings of up to eight floors with 1,200 homes in total of 2 and 3 main rooms. After the Games, the departments will be inhabited by families that went through an adjudication process through a credit system with accessible interest rates. In legacy mode, the Youth Olympic Village and its adjacencies will be transformed to set up a new open metropolitan park and a new neighborhood that will promote the development of the southern area of the City. The Youth Olympic Center will become a world-class high-performance center for Argentine athletes and it will host 13 of the 32 sports of the competition program in Buenos Aires 2018. This scenario will receive Swimming and Diving in the aquatic stadium and will have five pavilions: the Europe Pavilion, will host the competitions of weightlifting and karate; the Asia Pavilion, home of judo and Olympic wrestling events; the Oceania Pavilion, a space where young athletes competing in Boxing and Taekwondo will participate; the Africa Pavilion, home of Fencing competitions and of the same specialty within the Modern Pentathlon; and the América Pavilion, the place of gymnastics in its four disciplines: Artistic, Rhythmic, Trampoline and Acrobatic. 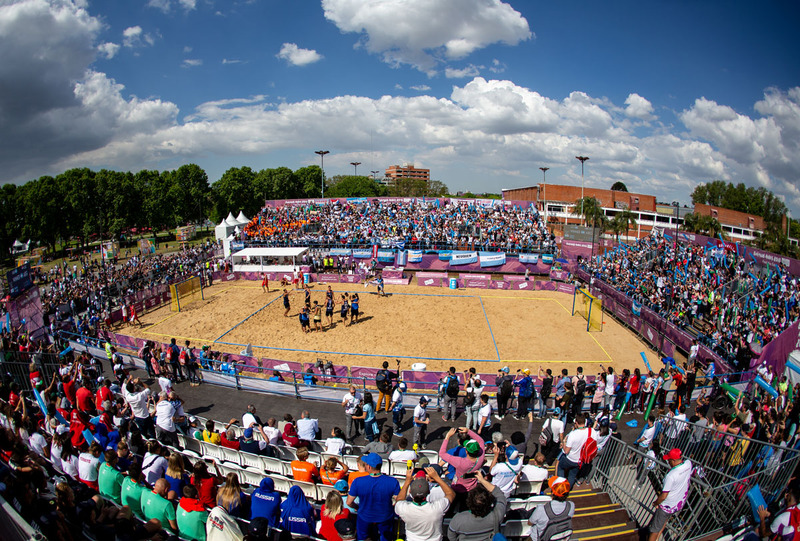 In addition, as part of the legacy that the park will have for the future of Argentine sports, there will be two athletic tracks, two Hockey courts, two Basketball 3×3 courts, two for Beach Volleyball and two for Beach Handball. All of them world class spaces. Our mission is to celebrate the Buenos Aires 2018 Youth Olympic Games by promoting the development of the community through Olympic Values, especially among young people, and building a lasting legacy for the benefit of the whole society through sport, culture and education. We conceive sustainability as one of the essential values, maintaining the balance between the environmental, social and economic aspects of our activity; ensuring compliance with national and international legal requirements and stakeholders. All photos courtesy of IOC/OIS. 24/7 Coverage: Viewers can watch the 24/7 Youth Olympic Games Channel at any time from 6 to 18 October on Olympic Channel and YouTube. The round-the-clock streaming channel features both live and tape-delayed event coverage and daily highlights shows. Live Streaming: Event coverage across YOG is available both live and on-demand on Olympic Channel at olympicchannel.com and its mobile apps for Android and iOS devices. YOG Daily: The “YOG Daily” show will feature a lively look at the news, trending stories, highlights and interviews in a round-up of the day’s events in a fun and interactive format. Available live on Facebook and Twitter daily at 1 p.m. local time. Olympic Channel Podcast: Featuring insightful interviews from across the Olympic world, Olympic Channel will produce a daily podcast during YOG for an in-depth look at the personalities, stories and competition in Buenos Aires. Schedules and Results: To keep on top of the action in Buenos Aires, fans can find event and live streaming schedules, results and medal standings on olympicchannel.com. Social Media: Fans can also follow Olympic Channel’s coverage on Facebook, Twitter, Instagram and YouTube to learn more about the sports featured at YOG as well as take part of the fun by interacting with athletes and for behind-the-scenes action.